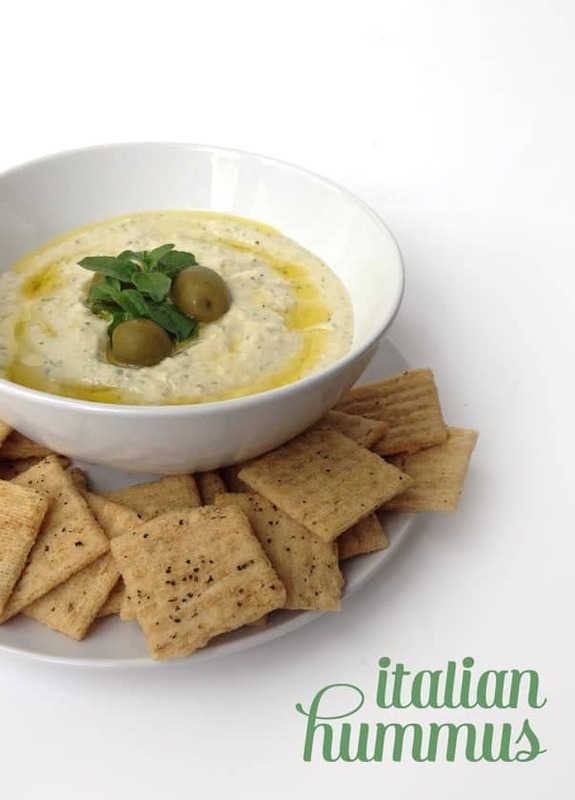 Italian Hummus is the perfect Mediterranean twist on this classic appetizer. 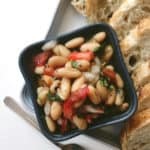 Made with white beans instead of chickpeas, plus olive oil and fresh herbs, you can serve with Italian bread or pita chips for an amazing party starter. Hummus is one of my favorite healthy snacks. It’s so delicious on pita chips, bread, crackers, carrots, cucumber slices, sandwiches… Well, pretty much anything. 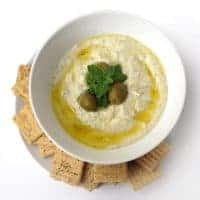 These days it’s easy to find a wide selection of prepared hummus at the grocery store, but it’s just as easy — and less expensive — to make hummus at home. It was my sincerest plan to test a classic hummus recipe with chickpeas (also known as garbanzo beans). 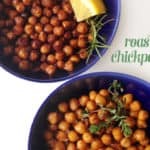 I always have them on hand to make roasted chickpeas, like these Spicy Bacon Roasted Chickpeas or these Honey Chipotle Roasted Chickpeas. But when I started pulling ingredients from the cabinet, that can of chickpeas I swore I had wasn’t to be found. However, I did have an almost identical can of cannellini beans. I’ve made black bean hummus before, so why would white bean hummus be any different? With a little garlic and herbs, I could have Italian hummus. That’s one of my favorite kitchen lessons: going with the flow and making use of what you have. I try to improvise and not let a hiccup like not having an ingredient (even the main ingredient) get in the way of cooking. This hummus is addictive. 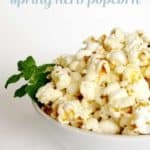 It would make an excellent party appetizer or a snack for yourself. (I vote for the latter.) For dessert, you’ll want this Tiramisu Trifle. I made mine with fresh oregano, but you could also add or substitute other Italian herbs such as basil, rosemary or thyme, fresh or dried. Made with white beans instead of chickpeas, this Italian Hummus will be a hit at your next dinner party. In a food processor, combine cannellini beans, tahini, garlic, lemon juice and salt. Pulse together, slowly streaming in 2 tablespoons of olive oil. Transfer to a bowl to serve. Drizzle with 1 tablespoon olive oil on top. Garnish with olives and fresh oregano, if desired. 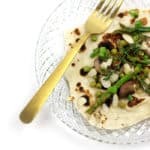 Serve with pita chips, bread or fresh vegetables.